The best kind of energy is to have the feeling of being naturally charged up and ready to tackle anything that comes your way! You know when you are having a great day, and nothing seems like it can stop you. What is it that can have that kind of effect on our energy levels? Some people are just naturally energizer bunnies… they always just have extra energy, even to the point of getting on everybody else’s nerves at times. Even if they are that kind of person, you still would like to bottle up the extra energy and sell it if you could! The next best thing would be, to somehow figure out what gives people a natural healthy energy level. Then we can duplicate the process and make it our normal everyday experience. There are many natural foods that can help with this process; it is easy to start incorporating them into our diets, it needs to be done slowly, so that we can see the effect each new food has. We all want to find healthy alternatives to get the energy we need to face the busy day. It takes time to do the research and find out what will work! Many times, we can easily think something is doing a better job than it really is, that has happened to me so many times in this “energy” area of diet. 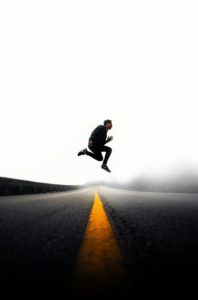 Over the years, while working to get the job done, moving constantly for 12 or more hours in the day, the momentum can fake you out, making you believe that you have more energy than you really do. That would become apparent when you stop at the end of the day and experience the crash in energy. Diet plays a big role in providing us with the energy that we need, especially when the workload is heavy. Lately been experimenting with a new drink that for the past couple of months was drinking just before going to bed. It improved my energy level to the point that I was not able to sleep! This past week I started drinking it in the morning and now my sleep pattern has returned to normal. The recipe that I am using now is the same as I mentioned in the Amazing Cinnamon Supplement Side Effects post. The only change is that I have added ¼ teaspoon of Turmeric to the mix. A friend of mine suggested adding it because of the benefits for diabetics. It does tastes better in the morning, rather than right before going to bed. Even with intermittent fasting, it does not bother my empty stomach, was concerned about that… with all the extra acid in this drink, but it is okay. One of the best effects, are the consistent energy levels that last all day; without any slumps during the day, even after lunch! Need an Energy Boost Today! One of the best ways to get an energy boost is to get up and get moving! Working behind a desk, it is a good idea to make yourself get up and walk around at least every hour. This is something that I must remind myself to do, when the job is requiring you to be more focused on paperwork, it is very important to take frequent “movement breaks”. It sounds funny… but get some water now, will make you need to get up and go to the restroom later. Plus, it ensures that you are properly hydrated which can leave you feeling fatigued. We all know that coffee can help some people get an energy boost, but green tea has more of an effect on my energy level than coffee. Maybe because it is something that I just started drinking recently and with all my dietary changes, it produces more energy than coffee. 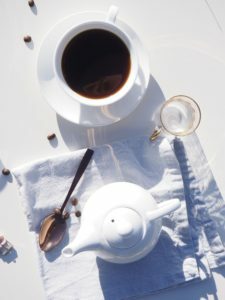 It may just be because of drinking coffee for so many years that it does not have any effect anymore. All the research provides people with plenty of ideas to try. Even the good energy drinks are always good to have on hand for the times when you are feeling sluggish. I like the simple ones that are low on sugar and high on the B Complex Vitamins. They can give you a good energy boost and you do not have to worry about overdoing the B vitamins too much; because they are water-soluble, and do not store in the body like the fat-soluble vitamins do. The best ingredients to have on hand is some mixed nuts (preferably low in sodium) because they are easy to keep and do not require refrigeration like some fresh fruits and veggies do. Better if you can have all of them then that is the better choice. But, if short on time, the protein bars are good to have in a pinch. You really must do your homework to get some protein bars picked out, that will meet your needs. But they are convenient and do not need refrigeration. The RX Bars are good for a quick energy boost and becoming more available in the convenience stores. Some people have reported that they get a real good energy boost from some high-protein canned drinks that are on the market. I have not had any success with these types of drinks and everyone that I have checked out does not taste very good! That is why I do not suggest trying them, but the high protein meal replacement shakes are a good substitute to a snack. They have a few more calories but the nutritional value is much better. While on the subject; the benefits that are in the Indulge Shake (no longer available) mix from Avisae is pretty good all by itself! 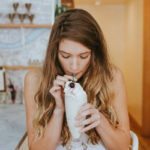 But here are some extra benefits that can be realized with adding some fresh or frozen fruits to the mix and making a very tasty snack or meal replacement. Adding a banana and (frozen) blueberries to the mix makes a very taste smoothie; this smoothie boosts your energy level with the banana and the blueberries helps your mind stay focused! That is a bonus to all the nutrients that are packed into the shake mix itself! Replace the blueberries with strawberries and the extra vitamin C will help turn fat into energy. 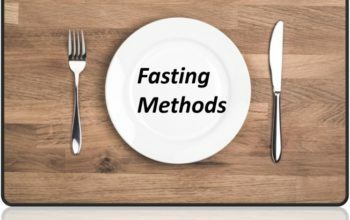 It is not the keto effect, but it can boost your energy level while helping to burn up some fat. A shake not what you want; the same ingredients can be mixed into some Greek yogurt and accomplish the same thing. Just depends on how you want to consume the treat. 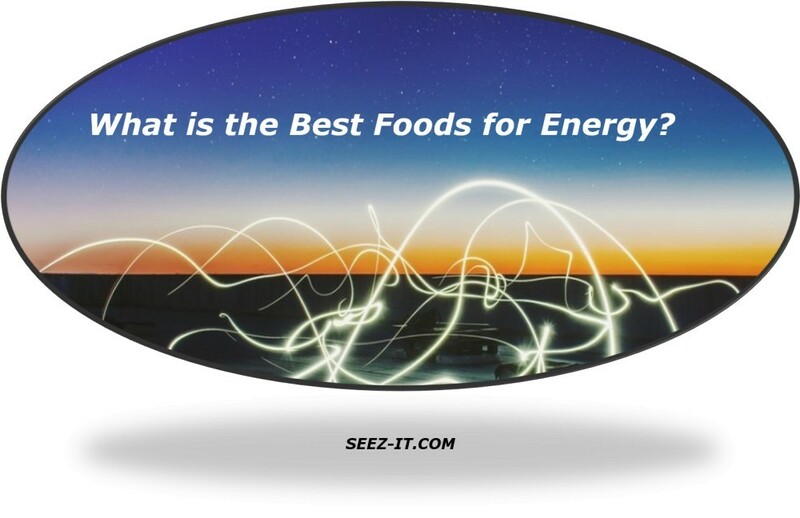 There are many options for us when it comes to getting an energy boost. The best way is to find the natural way to get yourself going. Moving around will usually work, even if it is for just a little while, but it is worth the effort. More so if you’re a shift worker and having to work a lot of overtime; trust me I know how you feel! Over 34 years in the industry. Finding the best solution is going to take some creative thinking and testing the idea to see how it works for you. Hope that you got some good ideas for this article and please leave any comments, suggestions, or questions below. Hello Chad I read your article Need Eergy Boost Naturally? It is true some people just seem lie they always have lots of energy. I am not one of those people as I need more energy because my workload is heavy. I seen your recipe I have every thing except turmeric. I wanted to know were I find tumeric? Thank you for your comment Freddie, hope you have as good a result as I have with this recipe. Turmeric can be found at the grocery store in the spices aisle. See, the problem is that I don’t realize that I haven’t moved in hours until it’s too late. Feelings of sleepiness hit me like a truck during certain activities and my previous habit of taking a nap in the daytime. I mean, I’m not narcoleptic. Nowhere near that. But it’s horrible when I got to do some work and I just feel like crawling back into bed even though I had a good 8-9 hours of sleep the night before. Unfortunately, I’m not a tea person. I’m a coffee person. So coffee and plain cold water are my go-to_s. Mostly plain water though. It’s a hassle to go make coffee when water is easily accessible. I know coffee is stronger but still. Thanks for your comment Caldero, sorry to hear that you are having these issues. It may help for your to set an alarm to remind yourself to get up and move around. It is hard when you are working in a stationary position and your job requires you to be still and concentrate for long periods. The drink is worth trying and the ingredients will last you a long time, it has really helped me while on this particular project where activity is limited. 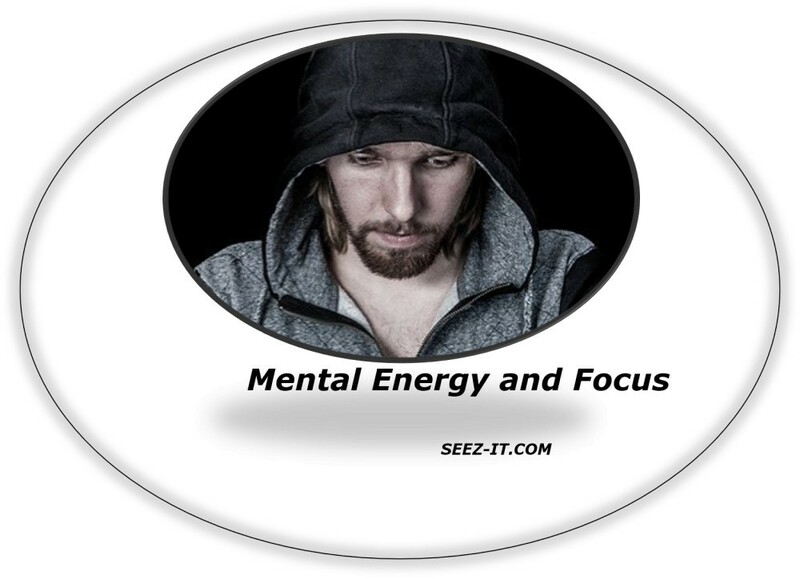 Oh Chad…I used to be one of those “energizer bunnies” that drove others a bit crazy (hopefully in a good way! haha), but ever since I hit the big Five-OH! I’ve experienced a marked decrease. I love your article for pointing out healthy, natural ways to boost energy. I will have to give your special morning tonic a try! You are right that moving around will usually provide a lift, too, but that’s sometimes hard to do when you just want to take a nap! I’m going to work on implementing some of your wise strategies and see how things improve. Thanks so much for your insights! Thanks for your comments Cheri, I know what you mean, experienced a lot of changes after turning 50 and most of them are not good! Since changing my diet and starting to be more active, my energy level is much better than it was at this time last year. The morning drink works better to stir it up really good and drink it fast. The aftertaste is pleasant that way, not so much if it sits for awhile! Lots of good advice on getting an energy boost naturally. I definitely have tapped into a couple that you mention in your post over the years. The drink with the honey, turmeric, and cinnamon are very similar ingredients I use for my energy drink all the time. I can’t drink the coffee like I used to, so it is a good substitute. On the snack foods you have mentioned/included, I favor a piece of fruit and maybe a glass of water with it for a little boost in the afternoons when the day has been long (I start normally at 0400). That seems to get me a pickup and the calories include some vitamins and minerals. The last thing I do has nothing to do with food, but it does provide a boost. I will regularly get up from the desk and take a quick 5-minute walk outside (unless it is too hot as in Summer here in Dubai). That always provides a wake up for me and it also is a chance to get the eyes focusing on something besides the laptop screen. It works…. Good article with lots of good advice on how to get that natural energy boost we all need from time to time! Thanks for your comments Dave, glad to know that you have similar results and find this information useful. Hello Chad. Reading your article I’m curious now about the green tea when comparing to coffee. I’m a coffee lover and the energy I have at office partially due my coffee habits. Also I like your idea to mix some fruits with Greek yogurt, some creative shakes can be created to boost the energy level. Thanks for your comment Marcos, coffee really does not give me anything anymore, I just drink it because I like it and if you do not put any sugar it is good to have a few cups a day. A couple of times when drinking the green tea, I actually felt a little light headed for some reason, it definitely gives me an energy boost for a few hours, but I just have to be careful with it. Recently I feel my energy drowned because of all works that I need to do (both as 9-to-5 worker and freelancer). I’m glad that energy booster doesn’t need to come from chemical supplements or non organic foods. Thanks for your comments Alblue, I understand what you are talking about with the natural ingredients verses the artificial ones. The drink that I am taking works all day and since I started talking it in the mornings my sleep has returned to normal. My suggestion on any kind of energy supplement is to take it in the morning or the early part of your shift, that way you get the benefit for more of your day.